Ted resorts to deceit in order to stop Jeff finding out about a private booking he has at a local function. Ted also plans to try and stop Joe Maplins plans to expand his empire. Episode 2 : "Save Our Heritage"
A local cottage looks set to be demolished and the owner is threatened with eviction, all so Joe Maplin can extend the camp. Jeffrey is furious about these plans and tries to rally the staff into action to stop Joe Maplin getting his own way. Episode 3 : "Empty Saddles"
Joe Maplin sends orders to the camp that all Fred Quilley's lame horses are to be sent to the knackers yard. Fred is devastated by the news, so the entertainments staff try to save the horses from their impending doom. Episode 4 : "The Marriage Settlement"
Jeffrey finally agrees to give his wife grounds for divorce, which means he needs a professional co-respondent and needs help from an unlikely source, namely Peggy. Episode 5 : "The Graven Image"
Joe Maplin decides to have a statue of himself at the holiday camp. Uncharacteristically, Spike gets very drunk and decides to "decorate" the statue on the night before the unveiling ceremony. Needless to say, the ceremony doesn't go to plan. Episode 6 : "Peggy's Penfriend"
Episode 7 : "The Epidemic"
The staff are expecting a visit from Joe Maplin, unfortunately an epidemic of "chads" (a form of graffiti) has broken out. 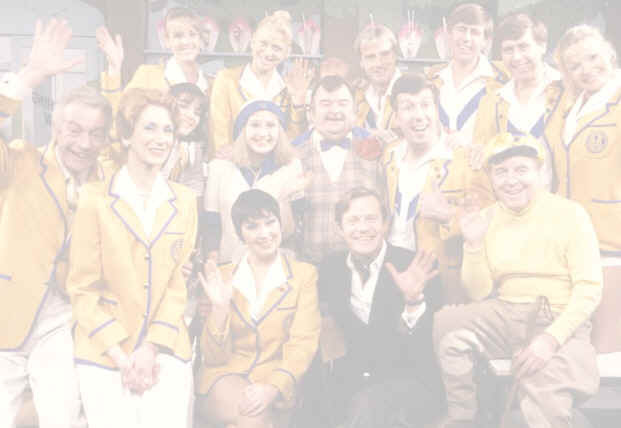 As an indirect result, Barry injures his back and is unable to perform, hence the first appearance of Julian Dalrymple Sykes as Yvonne's dance partner.